Chronicling his stays in India from 1958—1962 and 1972—1973, Swami Kriyananda shares inspiration from his visits to many saints, including Anandamayee Ma, Yogi Ramiah (Sri Rama Yogi), Swami Muktananda, Swami Narayan, and Sathya Sai Baba. 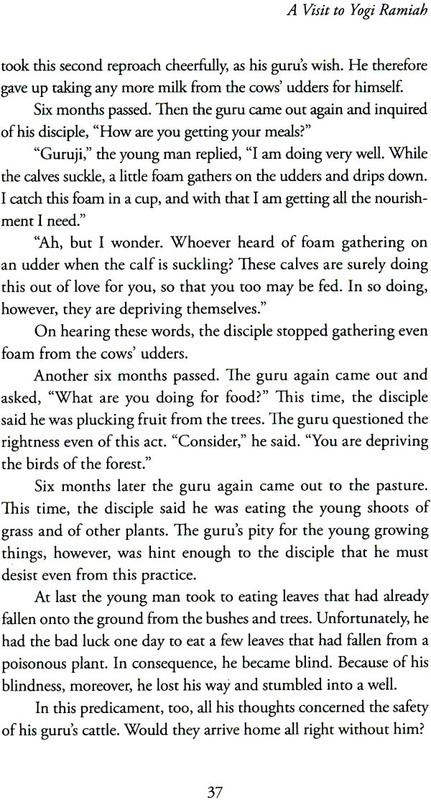 As a swami steeped in their spiritual heritage but coming from the West, Swamiji offers unique glimpses into Indian society and culture, ashram living, the devotee-guru relationship, and the daily experience of high souls. This he does through insightful letters, lovingly selected to be shared once more. Like the visits to saints described by his friend Devi Mukherjee in Shaped by Saints, but with delightful variations, Swamiji’s story is a spiritual journey, indeed a deeply personal pilgrimage. “Yet,” as he explains, “it has become a journey and a pilgrimage also for increasing numbers of truth-seekers today.” Through it, the reader will find a closer connection with India and its holy ones. How fitting that he has returned to India to make it his home neat the end of his own life’s journey. Swami Kriyananda is one f the chief direct disciples of Paramhansa Yogananda, author of Autobiography of a Yogi. After living with the great master during the last years of his life, Swamiji travelled and taught in India. He is the founder of Ananda Sangha, a worldwide organization that disseminates Yogananda’s teachings and practices. 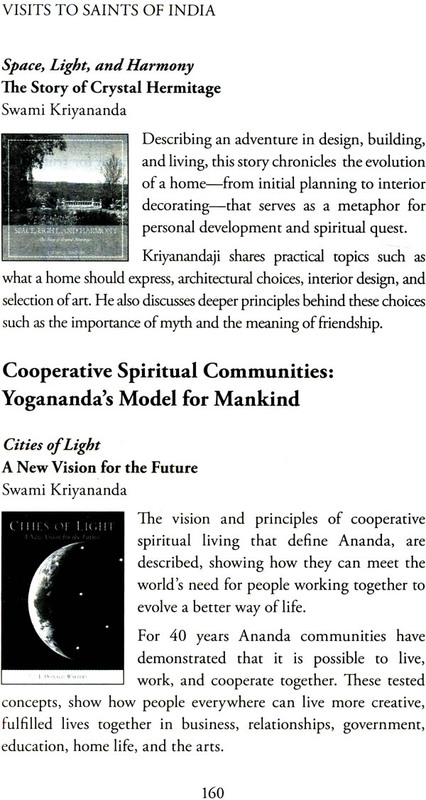 Ananda includes eight cooperative spiritual communities with over 1,000 members in the USA, Europe—and now India. Swamiji has written some 90 b00k5 translated into neatly 30 languages and composed over 400 pieces of music. India is going through a period of transition, necessary for it as one of the great cultures of this world. She needs, for now, to reclaim her rightful place as a leader among nations. When I first went there, in 1958, there were still true saints to be found. I lived there, in all, nearly four years, with a six months hiatus in America and Europe in 1960. I returned, briefly, in 1972. Since then I came back several times as a visitor. Then in 2003 I came once more, to live and complete my Guru’s work in this country. Over the course of these nearly fifty years, I have seen many changes. Not all of them are pleasing for one whose life is dedicated to seeking God. But I see that they are necessary. And I believe the sacred vibrations of India will rise triumphant, at last, over the mists of materialism that now swirl like brume upon the earth here. During my first visit I had the privilege to meet many saints and holy people. On my later visit in 1972 I met fewer. During the past four years I have met fewer yet. I am doing what I can to bring India material prosperity as well as spiritual affluence. As I introduce my Guru’s concept of “World Brotherhood Colonies,” which by now I have well established in the West, I hope in time to cover the country with little communities where devotees live, work for God, raise families if that is their desire, and educate their children—all in a Godly way. The system has been proved by forty years of success. There are now about 1,000 people living in thriving Ananda Communities in America and in Italy. May the following pages help to inspire people with a return to the spiritual living of India’s ancient, Vedic times! For this is, indeed, the spirit of our Ananda communities in the West, and recognized as such by saints as well as by ordinary visitors to them from India. During my visits to saints during my first period in India, I wrote many letters about them to my brother and sister disciples in America. Most of those letters have been lost, or are now inaccessible. Those visits included several saints. One was an old yogi, 132 years in age, whom I met in Pun. I met several saints at the Kumbha Mela in Allahabad in 1960, among whom were Deohara Baba (aged 144 years, who told me he had known Lahiri Mahasaya); Kara Patri (mentioned in Autobiography of a Yogi); Hansa Maharaj, 122 years of age, who announced that he would leave his body in April of that year (in &ct, he did so); and several other saints whose names I have forgotten. I met, in New Delhi, a young woman who at the age of nine had announced to her parents that she was going into seclusion, and for them please not to disturb her, but to leave meals for her outside her door. From then on, she had eaten little, but had spent her time in prayer and meditation. Her only communication was by letter. When her &mily left notes outside her door requesting prayers for people, she would pray, and at least in most cases those prayers were granted. Her father was chronically ill. Prayers for his healing, however, were not accepted. She answered by note, “Prayers will not help him.” At last her mother complained to her that she was showing a sort of reverse prejudice in not healing him, “Just because he is your father.” The girl, then, had to agree to pray, but she said, “You will see what the outcome will be.” She healed her father, but soon after that he began living a dissolute life. His illness had prevented that karma from coming out. She had wanted him to expiate the karma hilly, hut now he would have to go through it, and, later on, pay the lull consequences. I met her when she was nineteen. She still had the body of a young girl. She almost never came out of her room, but she came out for me, and meditated with me for a time. Very soon afterward, she was seen weeping before her image of Krishna. The next day, she was dead. I met also Bhupendranath Sanyal, or Sanyal Mahasaya, the oldest living disciple of Lahiri Mahasaya. This was at his ashram outside of Pun. It was a hallowed meeting, filled with mutual divine love. I spent time at Gowardhan Math in Purl with Bharati Krishna Tirth, the Shankaracharya of that same Math. I had prepared his lecture tour in America in 1957 or ‘58. 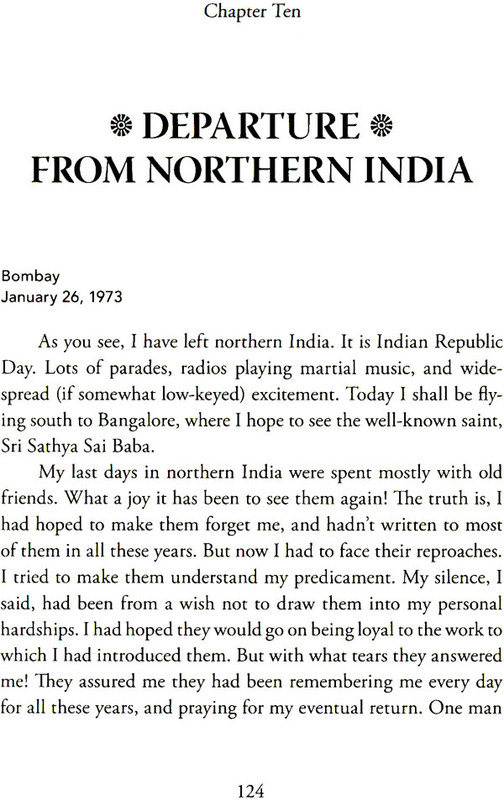 I found India less blessed with saints during my 1972 visit. And for these last four years, I have met very few. Those blessed days will come again, however. I am sure of it. And I pray that my labors in this country will help significantly to speed their coming.